Just as we reach the last few weeks of another Maine winter, our once seemingly boundless supplies of storage crops are dwindling. For those of us whose storage conditions are less than ideal, some of the fussier items are in serious jeopardy by now. The basement is a few degrees too warm? Perhaps your potatoes have begun to sprout. The fridge’s “crisper” is a bit too dry? Maybe the carrots have lost their crunch. As for those storage onions, you never know what you might find when you slice them open. One crop that is easy for almost anyone to store successfully, however, is winter squash. A good butternut or kabocha will stay delicious well into the spring, stored at what most Mainers consider “room temperature” for this time of year – about 60ºF/16ºC. In fact, some of the longer-storing varieties are just beginning to reach peak flavor as the dark nadir of the winter solstice sets in — refer to our Winter Squash Curing & Storage Chart for specifics. Because it’s so reliable, we Mainers tend to put up a lot of squash each fall. While it’s great to have a dependable, highly nutritious food source on hand, by March it gets to be a little redundant on the menu. Winter staples like mashed butternut and squash soup use up a lot of material, but they can get tiresome. With each passing potluck, our friends grow more indifferent to our offerings. The key, I’ve found, is to break away from our traditional vision of squash. Let’s face it; many Americans still equate squash with baby food — maybe they’ve only ever had it one way — mashed. And even then, it is often not the most flavorful type or variety, or given the simple enhancements it needs to really impress. We tend to stick with butternut as our go-to storage squash. While there is nothing wrong with this type (and a well-bred butternut can be delightful on its own — our award-winning Butterscotch, for instance), most butternuts are better suited as ingredients in a broader recipe, whereas other types are actually much better as stand-alone dishes. A couple of years ago, I really discovered kabocha squash. It helped that I was working for a company known for producing some of the best-eating varieties, with vast fields of them just a short walk from the break room. 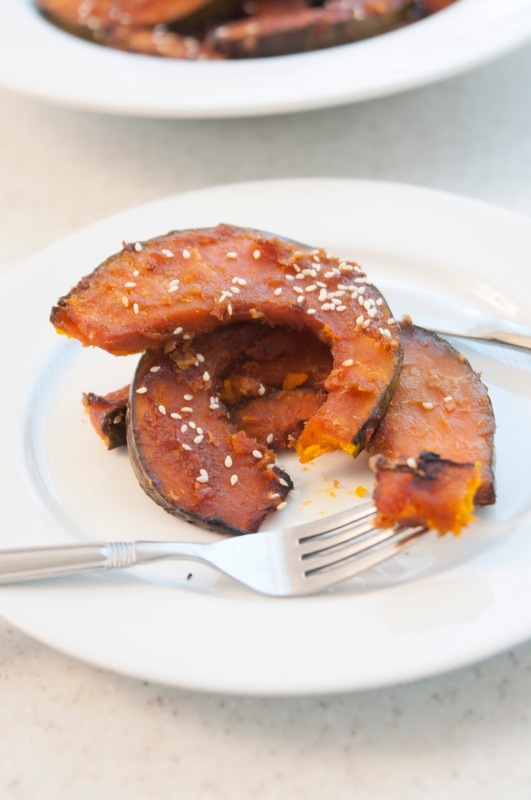 I credit our company founder, Rob Johnston, with turning me on to kabocha. 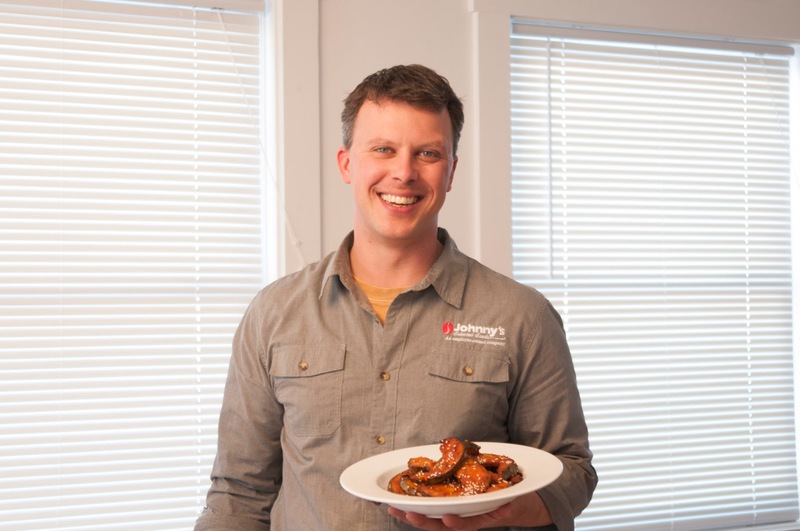 When I started working here, Rob would often sit down to lunch with a big wedge of Winter Sweet or another of his elegant creations, adorned with nothing but salt, pepper, and a drizzle of olive oil. 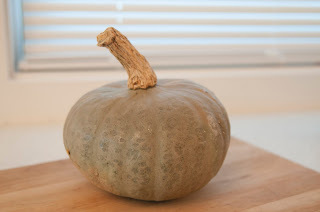 As I adopted this practice myself, I quickly began to appreciate how different and wonderful kabocha squash is. The dry texture ate more like a baked potato than like the mealy mush I was used to. There were subtle flavors in the background that reminded me of maple syrup and spiced rum. It was sweeter than butternut, and I didn’t even have to peel the skin off! This time of year, I cook a big kabocha most Sunday nights, then pop it in the fridge and reheat it each morning for a simple squash-and-eggs breakfast. 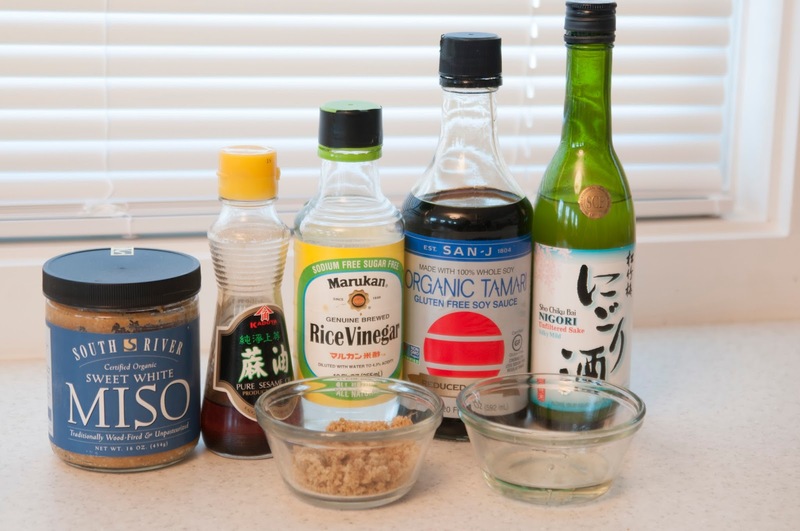 I just follow Rob’s simple recipe (although I prefer butter to olive oil), and I find it’s great fuel for the morning routine. It’s a sort of sweet twist on hash browns, with perhaps a healthier starch profile, too. 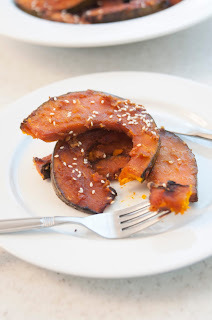 In searching for ways to experience squash the way they do in Japan, I’ve been trying a few variations on miso-glazed kabocha. The concept is simple and the recipe adjustable, and it highlights everything that’s so great about this squash. It incorporates the core flavors of sweet, sour, salty — and probably umami (but I’m not qualified to say for sure). And, it’s the perfect way to share and celebrate the last of last year’s winter squash, as we plan for the upcoming planting season. I hope you enjoy it enough to try it six different ways. Ah the humble squash! I have never tried it but I think it’s high time that I do. 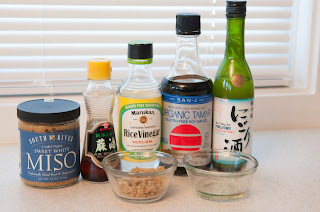 It’s amazing how this single ingredient can be cooked in so many different ways. The vegetables are very healthy and yummy! I like this healthy food. I prefer to order it on your site. Thanks for the quick delivery. Education is essential to every student’s life as well as their future. Students can have a prosperous life by receiving a good quality education. My thoughts are that students need to learn from the books along with other various materials just as I did while growing up. The classroom curriculum should be decided by their teacher and the teacher should set clear goals as to what is expected from the students. Students should work hard to achieve their goals because it will certainly be worth it in the end. According to essentialism, ‘Schools should not radically try to reshape society but schools should transmit traditional moral values and intellectual knowledge that students need to become model citizens’. Read about education help at Advantages of Online Education . The school should stress the importance of values because some children are not taught these at home. Teaching children good values helps build their character and helps them become respectable people. In regards to education, I think society is important because this is a place where we all live so we should work to make it a better place. This is a very good recipe for Halloween. I recently wrote in my blog http://www.nerdly.co.uk/2018/08/09/custom-essay-writing-services-in-the-uk/ about useful things for students who want to relax and not work. I have compiled the top Internet resources for writing unique texts. It is sounds very tasty thank you for the recipe! Similarly, knowing which areas of physics you need help with will help you to find a tutor who is qualified. Overall, the most important thing to consider when searching for a physics tutor, is someone who is flexible in their tutoring style and willing to try new teaching techniques that best fit their student. These problems will no longer arise if you take the assistance of do my assignment for me service in Australia. If you want to know why these services are so crucial in a student’s life then, keep reading. Students Assignment Help gives the best UK assignment help from its superb and exceedingly qualified task authors who are qualified from the best colleges of UK, Singapore, and USA. They are familiar with giving any kind of scholarly assignments. As a graduate student I have a lot of experience working with essay writing service usa. There is a lot of writing services, but some of them don’t have quality or reliability that were looking for. I will recommend you the best and the most reliable writing services - USA PaperCoach. This article is very informative as well as important for nursing assignment help because it will help them to know unhealthy food items so that they will implement it in their academics.